Is Prehistory is more or less bunk ? In 1916, when archaeology was in its infancy, the industrialist Henry Ford expressed the view that History is more or less bunk, so what he would have made of Prehistory would probably have been unprintable. However, perhaps as an engineer, his concerns were elsewhere, solving the problems in the present and helping to mould the future. In his remark, we might perceive a fundamental dichotomy of science v arts, but while this is clearly simplistic, there is a certain resonance for archaeology which sits, sometimes uncomfortably, between the two. Much of what is important, incisive and certainly less bunk in archaeology originally came from outside, from the borrowing of scientific techniques from other disciplines. Further, in Henry Ford’s prejudice one might also perceive a divergence between practical v theoretical, or practitioners v academics; for archaeology, the latter are often from an “arts background”, and by creating the past in their own image, have divested Prehistory of its engineers, architects, builders; a prehistoric built environment fabricated almost entirely from bunk. In the West, Archaeology is fairly new discipline, not much older than the motor car, but prehistory is not vital, and so nobody cares if you get it wrong or make it up. Unlike engineering, archaeology can be a faith based study, with objectivity, and even the evidence being secondary, what is important is belief in the narrative and its institutions. In archaeology things can be true because people believe them, not because they are supported by the evidence. This is hard concept to grasp if you come from another discipline, or importantly, if you believe in the intellectual integrity of archaeology, but ideas about ancient building are a classic case in point. In 1916 Britain was an imperial power and whatever our native archaeology represented, it was not civilisation, at least not in a classical sense, and that’s what mattered, and so naturally our intellectual focus was elsewhere - mostly in other people's imperial past. In addition, Britain as an imperial culture whose spiritual raison d'être was to bring civilisation to primitive peoples, it was thus natural to see our own prehistory in these terms, with simple backward Ancient Britons awaiting the arrival of the Romans. It is this second dichotomy, between Civilised and Primitive, which underlies much of our thinking about the past, with the later forming a geographically diverse monolithic culture, treated almost as an evolutionary stage transitional between Cave Man and Civilised Man. Traditionally, an understanding of all things classical was at the heart of our education system, being seen as both the genesis and embodiment of science and the arts, leading to a tendency to see our primitive native culture from this civilised perspective. 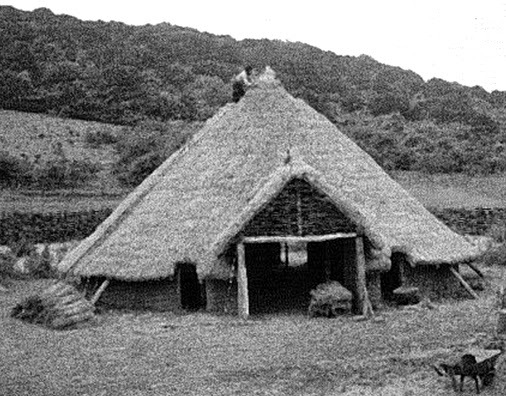 While this is a bit broad brush, you do have to try to find some context for the prejudicial way British archaeology has approached its own prehistory, and why it was thought appropriate to build a African style Roundhouse in southern England. Since the Roman period we have mostly lived in rectangular buildings, some bigger than others, but it would be ridiculous pretend these buildings were all basically the same. However, it is widely believed that before the arrival of Rome we lived in houses with circular plan which, varying only in size, were all single celled structures with a fire in the centre, with no concession to any form of utility or function, human or agricultural. 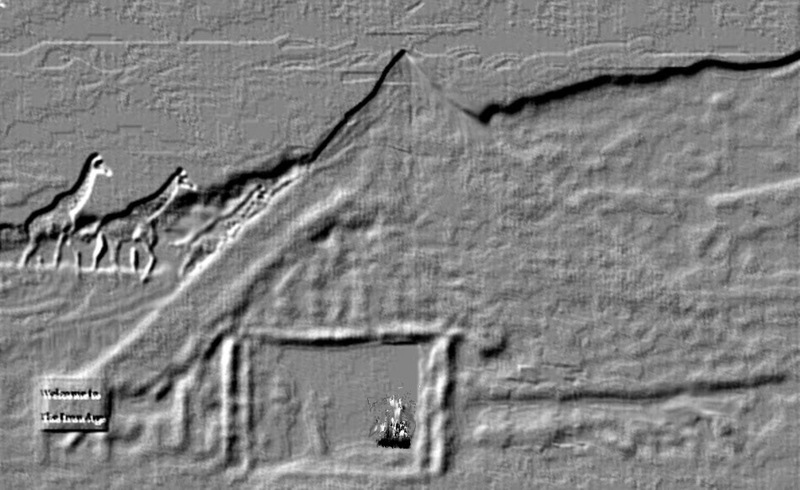 Presumably, it is because these were the simple buildings of primitive people, a universal stereotype, not a local cultural technological tradition, a conceit that underlies the misuse of ethnography by New Archaeologists. Archaeology is a complex subject synthesised from study a range categories of evidence, which all apply different methodologies and standards of objectivity. As a subject, it often suffers from being taught in a Faculty of Arts; in science there is usually at least a statistical approximation of truth that can be demonstrated, and importantly, this is what matters to scientists. In the arts, things are more faith-based, in that things can be true because people believe them to be true, and similarly, individuals are correct because people believe in them; in both cases, the evidence or lack of it is a moveable feast. The Pimperne Down plan was excavated, and used as the Model for the Original Butser roundhouse reconstruction, by Peter Reynolds , and Little Woodbury is the type site for this type of building , which has been reconstructed more than once, and it these and similar large buildings from southern England I wish to discuss. 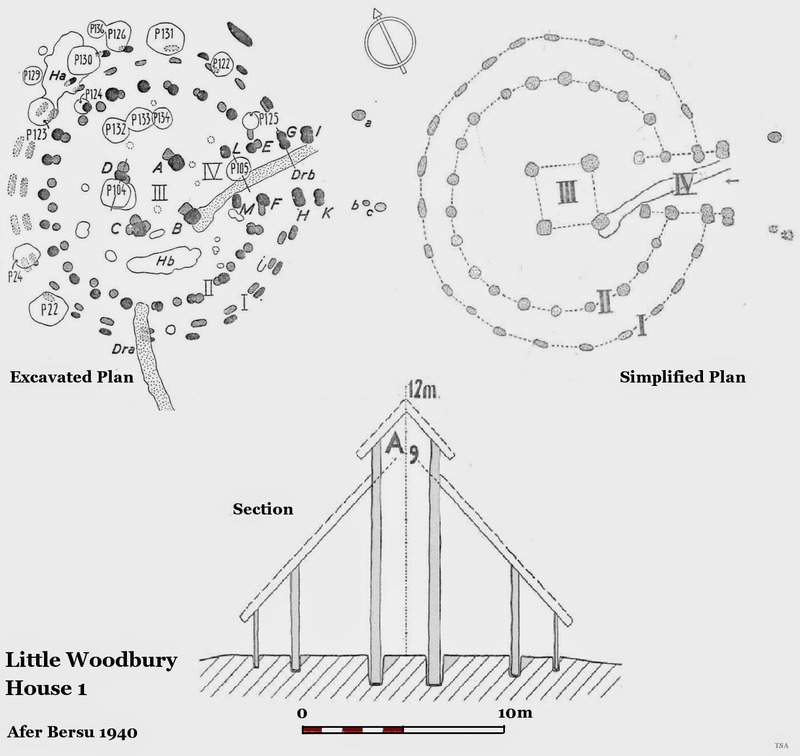 The Iron Age buildings at Pimperne Down and Little and Woodbury had both been rebuilt, and the excavated plan clearly shows complex internal features reproduced in successive phases, [which are similar to those found in single phase structures of this type]. Sorry, in this context, the big round open space with a fire in the middle is a fiction; it is not true or real as a representation of the archaeological evidence. Astronomers and astrologers are superficially both looking at the stars, but the former uses measurement and deductive reasoning as a basis for understanding, while the latter very selectively anthropomorphises the phenomena by projecting their own subjective experience and concepts onto it. 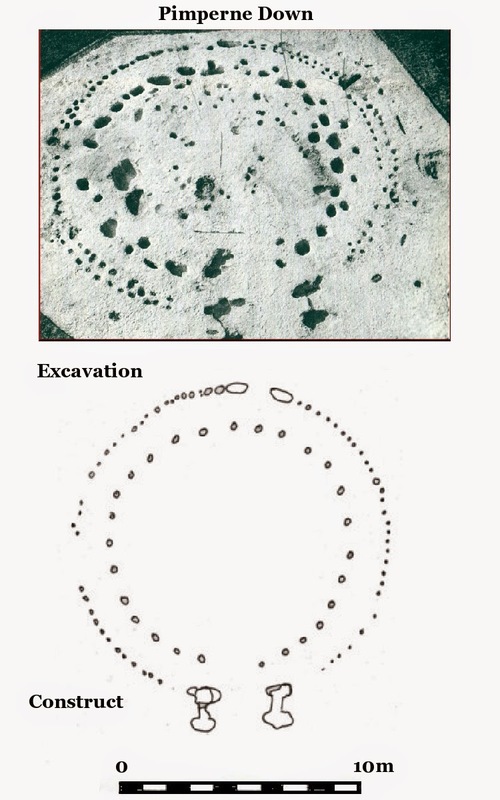 The same selective use of data to simplify joining the dots in order to make appropriate shapes is also evident in our approach to finding and understanding buildings, a process completed by postprocessualists adding ideas about how ancient people perceived these imaginary spaces. Evidently, the fact that no Iron Age people have seen of our “reconstructions”, just as we have never seen one of their buildings, is no barrier to scholarship in the oxymoronically challenging area of prehistoric cosmology. To be fair to Peter Reynolds, he only ever called it a “construct” and his untimely death has left his work not only unfinished, but also to be endlessly reproduced as a “reconstruction” like an architectural cargo cult. Notwithstanding the roofed leaked and had to be demolished following storm damage, it was good enough for our primitive ancestors and British archaeology, which has always been run on shoestring; the idea of deploying the sort of resources available to the Iron Age aristocracy is unimaginable. 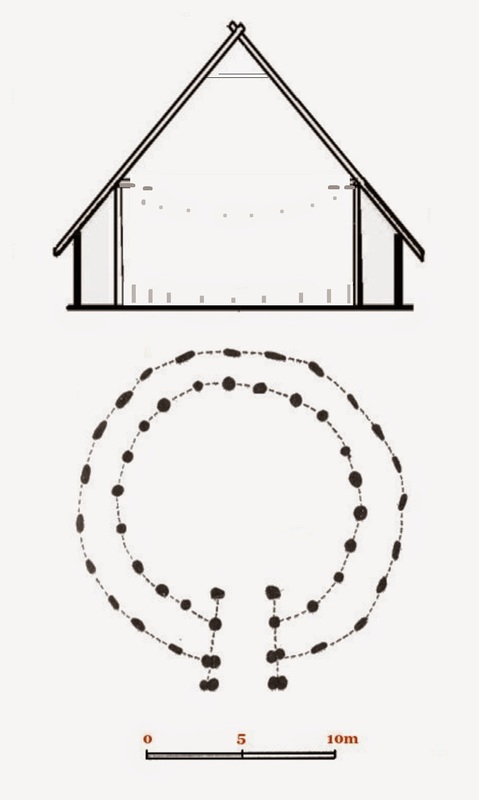 Roundhouses are one of those ideas that are so deeply rooted, and so fundamental to our shared understanding, that they go unquestioned; an article of faith, but a phenomenon where the testimony of the eyes is in conflict with the truth. I have been boyishly picking away at the invisible strands of this novel imperial costume for some time now, because I think if archaeology wants to be taken seriously, it must develop an evidence based approach rather than simply put faith in models and ideas which are unsustainable and are detrimental to the credibility and development of the subject. Crawfordsville Review, June 6, 1916. "history is more or less bunk"
 Hawkes, S.C. 1994. Longbridge Deverill Cow Down, Wiltshire, House 3: A Major Round House of the Early Iron Age. Oxford Journ. Archaeol. 13(1), 49-69. "Much of what is important, incisive and certainly less bunk in archaeology originally came from outside, from the borrowing of scientific techniques from other disciplines." 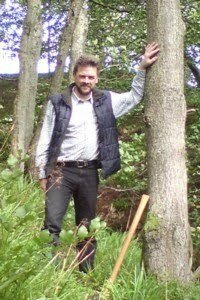 And as Bruce Trigger maintained, scientific aids no more make archaeology a science than a wooden leg makes a man into a tree. In prehistoric architecture terms Catholme in Staffs is a good example. But these roundhouses are too small, for that to be practical they are more like a traditional 2 or 3 story house, [only round]. Spot on.... and you can get astrology programs for your computer which makes it more accurate and scientific. My favorite is roundhouse "Drip Gullies" - deep self-contained features where water dripping from the roof has excavated a hole and made the spoil vanish - magic soil or magic water ? Magic water Geoff. I always make a point of depositing lots of against the wall of any house I visit which is packed with other ale-filled partygoers. A particularly desperate straw to grasp at is that the soot-and tar-caked thatch (see what I did there?) poured acidulated rainwater from the eaves at every proper wet, and killed off any vegetation and organisms for the life of the building, leaving a dusty dead zone which in the dry months could be ablated by various agents meteorological and animal. You know what? I feel an experiment coming on. Unless Butser and Lejre and the like have already spotted that.OTOH I couldn't face a decade or more in one of their hootches, wheezing away in the carcinogenic fug. There agin, I'd never paid them any mind, because, well, they didn't do anything obvious, and had just nodded along with the notion that they were deliberately-made gullies for catching and absorbing the worst cloudbursts rather than have it running in under the wall, it being rather antisocial to redirect it towards anybody else's gaff. A cluster of annular ditches turned up on the APs once, and had everybody going, until further desk work revealed it was an old (earlier C20th) annual Scout campsite, and it being [a] Blighty and [b] at The Seaside, of course it was invariably lashing down and this was the only way they could partially isolate their bell-tents from the quagmire (thick turf, over sea-sand). You know, this cider's not half bad. . . Not to be confused with "Drains" - which take water away down hill using gravity - fantastic invention - good old Newton, or was that the Romans? I like parallel gullies the same distance apart as a JCB/tractor's wheels, there a whole world of nonsense out there. Ah there you go, I knew it must have come from somewhere. I've just clumsily restated Reynolds' reasons one and three, in reverse. #1 being deliberate feature (a peripheral soakaway) and #2 being the Monuments squad nuking the veg with Roundup or something, a bit like the hypothetical toxic tar-water. 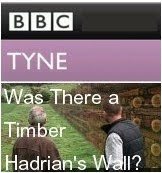 I take it you're in the 'mice and things messing about under the wall' tendency, like him? Creating a "fill" which never existed, until diggers misguidedly hoiked the disturbance out to make a "cut"? Seems fair enough to me. Three different things or a combination thereof, all being mistaken for each other. Hey, it's Archaeology! If we manage to survey the site into the right parish it's close enough for government work. Nobody's gonna die, after all. However, each feature must be judged on its merits. I certainly don't believe in self-contained "penannular" drains / soakaways / drip gullies - even though I published one! Some are quite clearly foundation trenches for walls. oops sorry Geoff, I've hidden the link a bit too cutely. Thanks for the distinctly non-hidden link - it's long time since I read this paper. strangely just wrote my own post on a similar theme. A friend pointed yours out to me, must be something in the air! Hi, thanks for the comment and link. An Interesting post; my initial reaction is that windows, fires/hearths and smoke extraction are part of the design that define it as a building, [UK Neo +]. To be honest except in industrial buildings like forges, I have not given it much thought, since in the large buildings it is probably upstairs and not archaeologically detectable. I've been doing the maths while others, seeing the world through the eyes of neolithic people, have discovered a post circle cult and their rituals.